Garden Sage is a classic herb with larger, soft, grey-green foliage and tall spikes of bright, purple-blue flowers in summer. 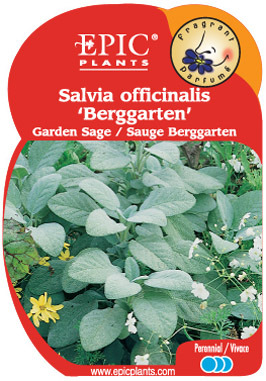 This form ‘Berggarten’ was especially selected for its larger, greyer foliage. Easy to grow in full sun with a well-drained soil.